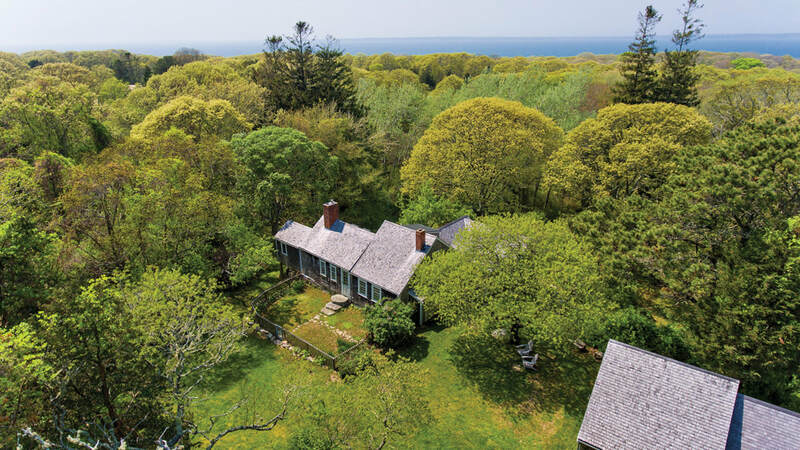 This lovingly restored antique three-bedroom home on 1.6 acres known as the Lot Rogers house is located in a private setting at the top of Indian Hill Road. 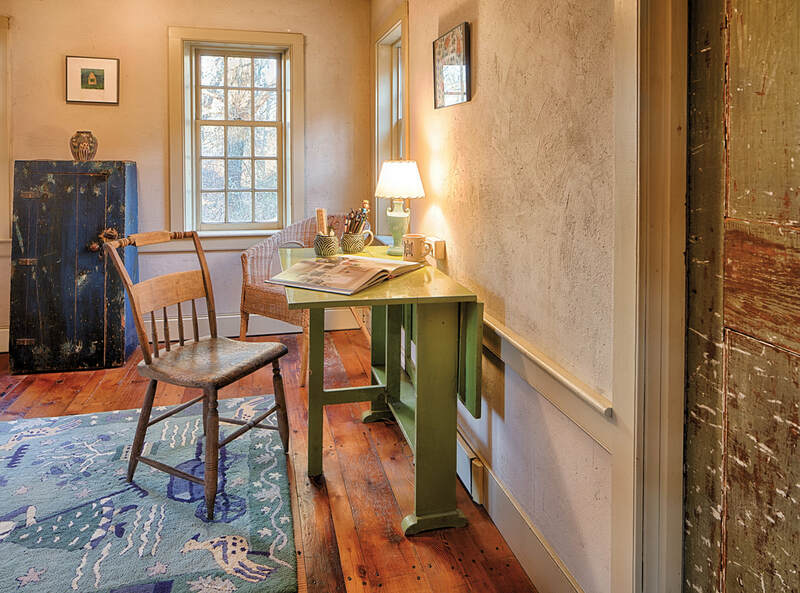 The original portion of the house is said to be a perfect example of a colonial half Cape of one and 1/2 stories. Like many houses it was expanded over time, at one point by attaching a portion of an older neighboring house to it. 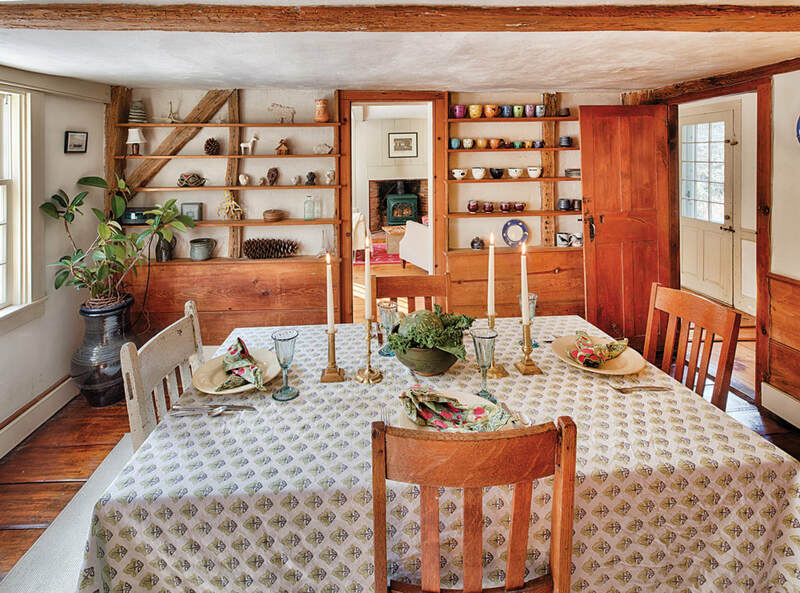 A small fenced front garden leads to the front door of the oldest section where the original living and dining room feature original antique wide pine flooring, wainscoting and old beams.A unique portion of the dining room is open shelving constructed from old tree trunks. 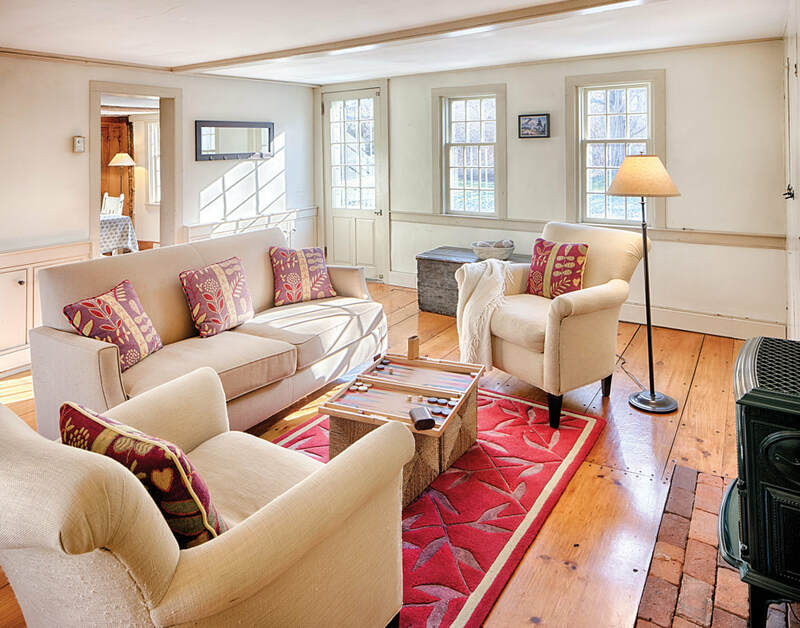 There is a wood burning fireplace in the dining room and a wood stove in the living room fireplace. The rear door in the living room leads out to a terraced seating area overlooking the woods, a deck and outdoor shower. Off the living room are a new bedroom and a renovated full bath. 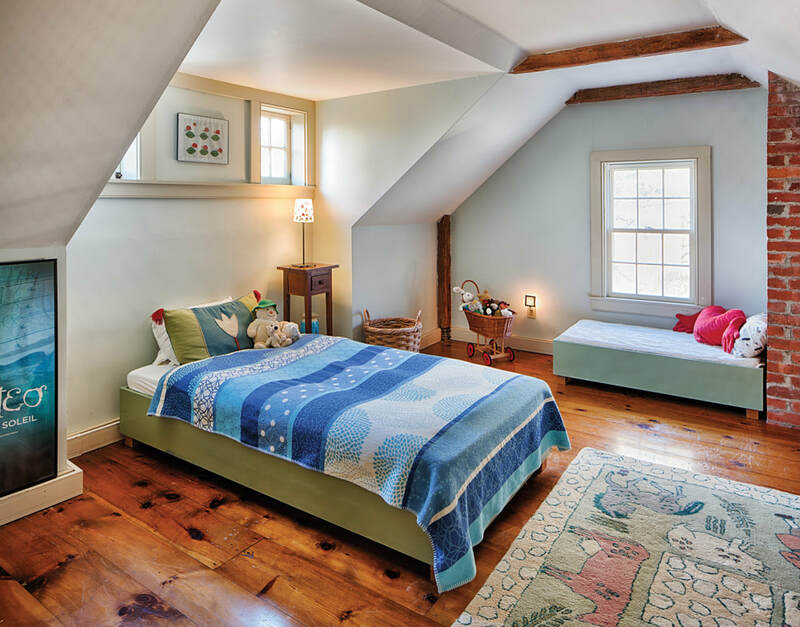 Stairs lead to another large bedroom with original pine floors adjacent to a sunny and cozy seating area with skylights. The recently renovated kitchen has updated appliances, custom cabinetry and soapstone countertops. A covered porch allows easy access to the landscaped sloping grounds with a small stream and ancient stone walls. The owner, who uses the home year-round, recalls beautiful woodland snow scenes in this bucolic setting. Beyond the kitchen is a new post and beam master suite with a vaulted ceiling and loft, full bath, small study and laundry area. 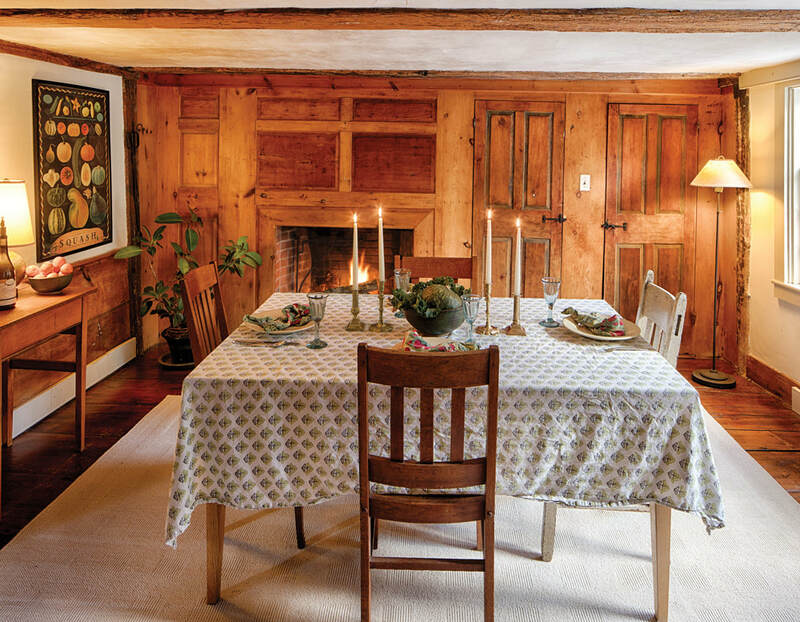 Under the original portion of the house is a walkout basement with a fireplace and beehive oven. A recent addition of radiant heat in the floor makes this a perfect hobby or crafts area as well as allowing more storage space. 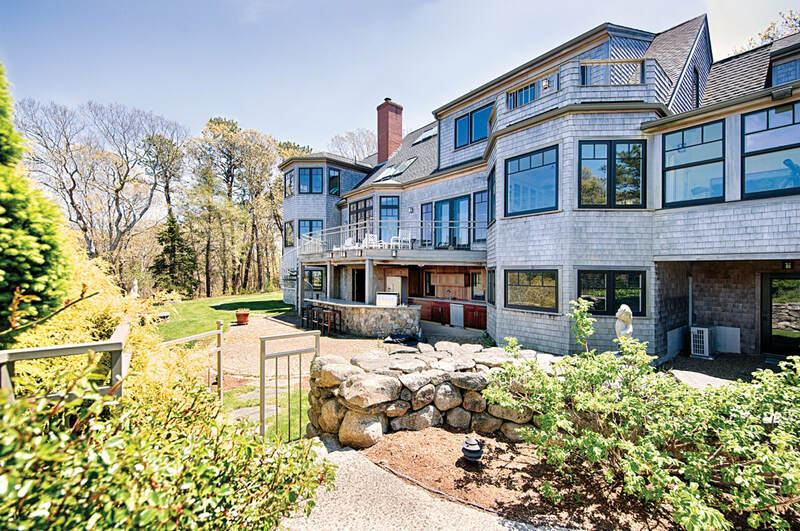 Across the lawn is a large post and beam studio that can be a fourth bedroom or an office and an attached one-car garage with ample storage space for boats and lawn equipment. 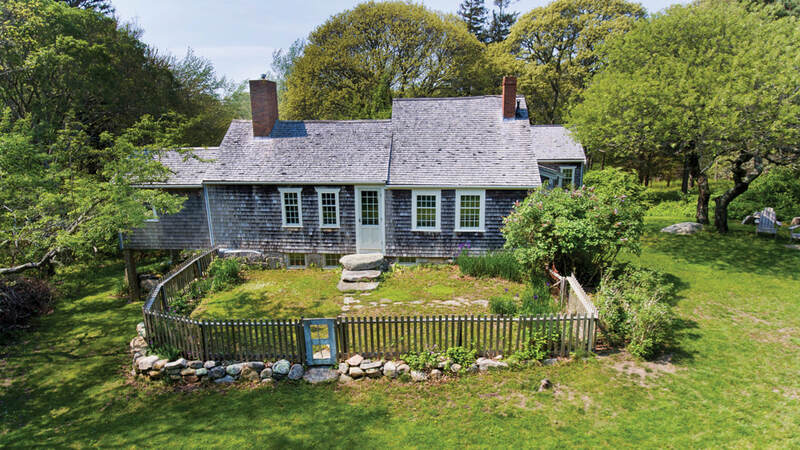 Part of one of the oldest developed lands in West Tisbury, this home was built by farmer Lot Rogers, who was born in 1752 and the property was probably built around the time of his marriage in 1781 to his cousin Martha. During the Revolutionary War, he served as a private in the Martha’s Vineyard Sea Coast Defence under Capt. Nathan Smith and then in Jeremiah Manter’s company. ​ The property is only steps away from the 400-acre Cedar Tree Neck Sanctuary, owned by the Sheriff’s Meadow Foundation. This area was first mentioned in a 1718 deed and referred to by an Indian name that means the red fruit land, possibly referring to cranberries. An ancestor of Lot Rogers owned a house and land in 1717 described as being near the Red Ground, which may refer to this house and actually make it even older. The current owner and her family have enjoyed hikes through this conservation land for many years.